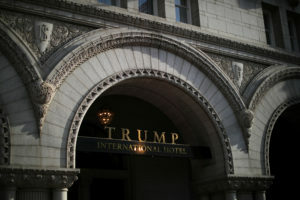 WASHINGTON — The inspector general for the General Services Administration says the agency improperly ignored the U.S. Constitution’s emoluments provision outlawing foreign gifts when it approved President Donald Trump’s management of his Washington hotel soon after his 2016 election. The inspector general did not recommend canceling the lease but urged a formal legal review. The watchdog said GSA agreed with its recommendation.